When you have a big family like I do and enjoy the odd gathering outdoors, suitable seating can be a challenge. Especially if you’re wanting weather resistant outdoors chairs you can leave outdoors for extended periods. Fortunately there is a solution and they come in the form of Heavy Duty Adirondack Chairs For Large People. Adirondack chairs add amazing eye appeal to lawn settings or as a stand alone deck chair. Which are not only great for social gatherings, but for relaxing in the open air with your favorite book taking in some natural Vitamin D. However as a big Man I too also realize the Adirondacks only downfall. Which is how low they sit to the ground which can make getting in and out of the chair harder. Depending on your size, you may find similar problems. 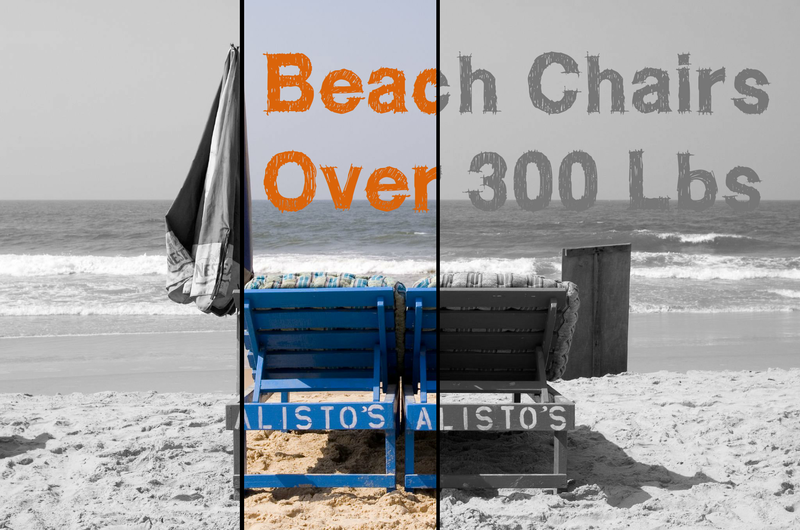 Below you can compare the top 3 best rated Adirondack Chairs for heavy people. A quick way to gauge the features that are relevant to each chair. Our overall opinion here at Big Person Central find the HighWood is our favorite Adirondack chair to suit the plus size community. However budget plays an important part in any buying decision so either of the Lifetime or Outdoors Interiors chairs are still a great choice. SEAT WIDTH	 25"	 21"	 20"
Another factor you must consider when buying heavy duty Adirondack chairs is how much weight can it actually handle. 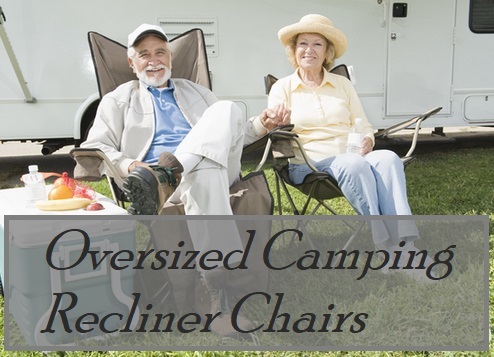 Besides the extra wide seat of the Adirondack chair, I find this factor is the most critical as a large person wanting a stable and reliable outdoors chair. Maintenance is also something I find to be a ‘I’ll get to it next Summer’ kind of thing. So less maintenance the better if you ask me. With all these components in mind, we have gone out and found suitable heavy duty Adirondack chairs for heavy people. Which will hopefully not only benefit you, but also your friends, relatives and the jealous neighbors once they catch a glimpse of your new amazing Adirondack chair. Our favorite fake wooden Adirondack chair is made in the USA by Highwood Furniture. This super heavy duty chair has been user tested to hold up to 500 Lbs capacity says the manufacturer. Oh and yes I said fake because it it’s not really wooden. It’s a synthetic wood material now known as Highwood. Probably the closest thing you can get to the real deal. But of course without the tedious maintenance that wooden Adirondack chairs are famous for. Everything from the color to the timber cut grain wood feel can resemble a real wooden chair, perhaps the smell is different for those wanting to know. But the real winner for us somewhat lazy big guys is the no maintenance ever whatsoever appeal. Unlike traditional wooden Adirondacks, you wont need to sand, varnish or paint this chair ever again. It will stay looking brand new for years to come. Even in the harshest weather, this chair is meant to resist rain, snow and even has stainless steel bolts to prevent rust occurring. Ok so maybe you should clean the thing every once in a while, but other than that, this is the perfect set and forget outdoors chair built for larger sized people. 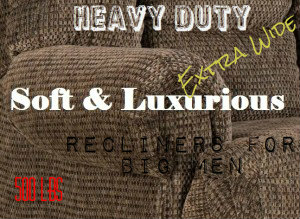 The King size is what the heavy person will be interested in, however the Adult size may still interest people up to 350 lbs. As for dimensions, can we just say this chair is huge and considerably easy to move around too. But I’ll fill you in on the important size measurements. Between the arms you get a generous 23 inches of space and for the actually seat its an extra wide and roomy 25″. The seat where your knees rest over is roughly 16 inches from ground level and the highest point on the back rest comes in at 40″, which is ideal for the big and tall person wanting to buy a Adirondack chair. Overall I can’t really fault this chair, maybe the assembly could be easier but that’s not a big deal either. It’s oversized and very heavy duty which is what us plus size people need in an Adirondack chair. Also comes in a nice natural selection of colors, Weathered Acorn being our best pick. This Adirondack chair is also made in the USA. Made from Polystyrene materials this chair can hold 300 pounds. While in my opinion the finish of the chair itself is not as wood like as the Highwood chair. But it’s still one heavy duty Adirondack chair not to be messed with. As this chair is made from Polystyrene materials, it’s also a minimal maintenance chair. Unless you want to paint the chair a different color as it only comes in a golden oak color. Which may or may not suit your decor. The company behind this chair is named Lifetime, this is the essence behind the companies reputation. They insisted on creating various lines of durable and lifelong products to actually last. As for the size of the chair, it’s slightly smaller then the King Size Highwood brand. Which is probably to be expected having a smaller weight capacity of 300 pounds. The seat itself is just under 21″ wide and sits 14 inches from the ground. As for the back of the chair it’s also just shorter at 36.9 inches in height. Assembly is somewhat easier, but do note: Don’t over tighten the screws or you could damage the ends,or even worse crack the slat. Just go gently if using a drill. 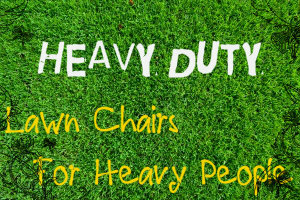 The thing we should look at with this Lifetime chair is it’s heavy duty rating. Yea it’s good, but where it lacks is in the market for people above 300 lbs whom need wider seats. The colors are limited and has a smaller warranty from the Manufacturer. However this chair is still a great outdoors chairs for the heavy person and is meant to survive whatever Mother nature throws at it. It will come down to a personal choice to which Adirondack chair to buy, but my bet is still with the Highwood. This short video shows how to build your own chair, which gives you the freedom to design it however you like. Make sure you turn the volume right up as he speaks a little soft. If you do go down the DIY route, be sure to reinforce the supports as much as possible to hold our higher weights.